Signed to Roadrunner Records at the tail end of 2013 on the strength of two demo EPs and a couple of independently released singles, Yorkshire’s Marmozets are a powerhouse of alt-metal and mathrock. 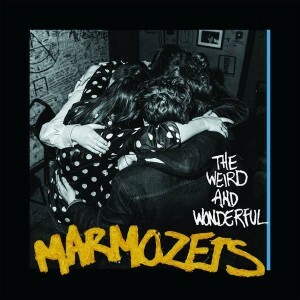 Their full length debut ‘The Weird and Wonderful Marmozets’ is full of great choruses, which combined with some tight musicianship results in an album with pretty much no weak elements. While the studio recordings do not always entirely capture the incendiary power of their live act, the album’s thirteen numbers have a real sense of urgency and – more importantly – songs that really force their way into the subconscious. Released as a single, ‘Born Young and Free’ wastes no time in crushing the listener via an intro constructed from few bars of math rock complexity. The twin guitars of Sam Macintyre and Jack Bottomley are tight as they work a riff that is perhaps closer to Basick Records signings Circles than anything that immediately follows, before drummer Josh Macintyre leads the charge smashing his snares in a more simple fashion. Over those snares, lead vocalist Becca Macintyre screams the title repeatedly, her scratchy voice coming across with a punky flair. The two distinctly different styles then converge giving the first real hint of the Marmozets’ core sound and ferocity. The drums shift to include a few hi-hats, while the chunky guitars eventually settle into a metal sound that’s powerful yet just about melodic enough for Becca to stretch her vocal – the shouty edges by now tempered by a warble that adds even farther to the band’s distinctive sound. At the point that it feels the song is almost complete, there’s another musical dog-leg with the number signing off with a riff that’s about ten times heavier than anything before, with Becca adopting a throaty growl to suit. In a little over three minutes, this is a real kitchen sink affair – a huge collision of sounds that’s impossible to ignore. Taking their general force and upping the rhythmic quota, ‘Particle’ brings of the album’s best arrangements. The guitars take a dark and buzzing approach, while the drums rattle with a quickness that suggests that Josh plays most things with ease – here he shifts between aggression and almost jazz/progressive rock time signatures with minimum effort, his playing showing a real flair. Slightly different again, the title cut is very much a tune of two distinct halves. An almost new-wave inspired verse driven by choppy guitar chords, gives everything a bounciness that brings a genuine feel-good factor. A quirky vocal set against the rhythmic backdrop is pleasing enough, but it is just the band approaches the chorus and opts for a fuller sound, this track really hits its stride. The guitars crank, the vocals go from quirky to something with a soaring melody and the band show off once again their brilliant gift for a hook. Boasting another killer vocal refrain, ‘Love You Good’ is a strong mix of metal and alt-rock during which the guitarists tap into a world of staccato riffs and dirty jangle, underpinned by some great bass work. Becca subsequently rips the heart from each line, spitting almost every word with the kind of venom that befits her forceful scream. The chunky alternative sound of ‘Hit The Wave’, meanwhile, doesn’t necessarily break much new ground, but taps into a perfect combination of heaviness and accessibility, the strong lead vocal rising above a dirty riff. Of particular interest on this number are those guitars: while the guitar work is terrific throughout this album, much like ‘Particle’, any stylistic hints of Tom Morello creeping in here and there only lifts things even farther. After a few spins this track becomes an obvious standout; in terms of all-round sound, this shows Marmozets at somewhere near their best. Proving the band isn’t all in-your-face aggression and has a broad range of alt-rock styles at their disposal, ‘Captivate You’ is far more melodic. Metal edges take a backseat as cleaner, chiming chords take centre stage and with Becca trading in her screams for a much more reflective sound, this number comes across as a more adventurous Paramore – with emo-ish melodies being the main focus. The chiming sounds are bolstered in places by a full compliment of crashing drums between verses, but the almost percussion-free, quiet opening verse allows the vocal time to shine. As the track progresses, the melodies are given a boost by a few quirky rhythms, but these in no way detract from the overall sense of melody. 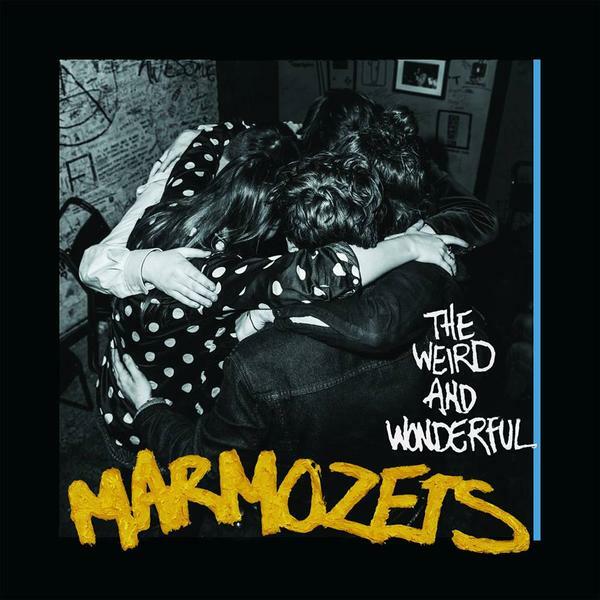 While quite different to the likes of ‘Born Young’ in places, there are enough traits here to make it easy enough to spot it being the work of the same group of musicians and It’s easy to imagine that somewhere along the line, Marmozets may even concentrate on such sounds a little more. Also capturing their more reflective side, the album’s ballad ‘Cry’ pitches a clean and emotive vocal against piano and soaring guitar lines. At the midpoint, those guitars take the reigns with Sam and Jack teasing with some very 80s riffs, before allowing the vocal to reach a climax. If ‘Captivate You’ had hints of Paramore and Tonight Alive, this tune is absolutely brazen in its influence – not that this should ever be considered a bad thing at all. For those who want something really heavy, ‘Vibetech’ eschews most of the band’s gifts for hooks and instead opts for all-out math metal prowess. Taking the album’s twin guitars and cranking them to the max, there’s more than a hint of Chimp Spanner and TesseracT in the resultant head-crushing riffs. Those riffs combine brilliantly downtuned dirges with clean, spasmodic and mechanical complexities, resulting in something that’s almost the pinnacle of music for the more demanding metal fan without resorting to mere prog metal showboating. Everything here is made even better by Will Bottomley taking more of a dominant role and contributing some really impressive bass work. Bringing a bit more of a rock ‘n’ roll edge in places, ‘Move, Shake, Hide’ smashes a tough alt-rock guitar riff against a drum sound that briefly seems a little closer to the punk of early recordings by The Computers. This is at its most obvious during sections that utilise the title as a hook (a hook that’s prone to appearing in your head at any given moment), but elsewhere, it’s business as usual, with the riffs escalating to a full metal crunch and Becca’s vocal rising from an attitude filled yelp to full scale growl. Between the slabs of guitar, Sam and Jack indulge in a few complex techiniques that bring hints of ‘Vibtech’s math-rock to the table unexpectedly, thus making this a number that covers almost all of the Marmozets’ styles within a frantic three and a half minutes. The single releases ‘Born Young and Free’ and ‘Move, Shake, Hide’ suggested ‘The Weird and Wonderful Marmozets’ might be a very enjoyable release, but it’s an album that just keeps giving on each subsequent listen. Not only is it easily one of 2014’s best albums, but it could also be one of the most exciting debuts of the previous fifteen years. Absolutely essential. This entry was posted in Album & EP Reviews and tagged alternative, emo, marmozets, math rock, metal by Real Gone. Bookmark the permalink.